The moment I opened this online shop, I can't help but fall in love! Every piece in Le Plume Accessories is so dainty and chic, parang feeling ko they all came straight from the jewelry boxes of the Koreanovela actresses na I admire for their lady-like style and vintage vibes. 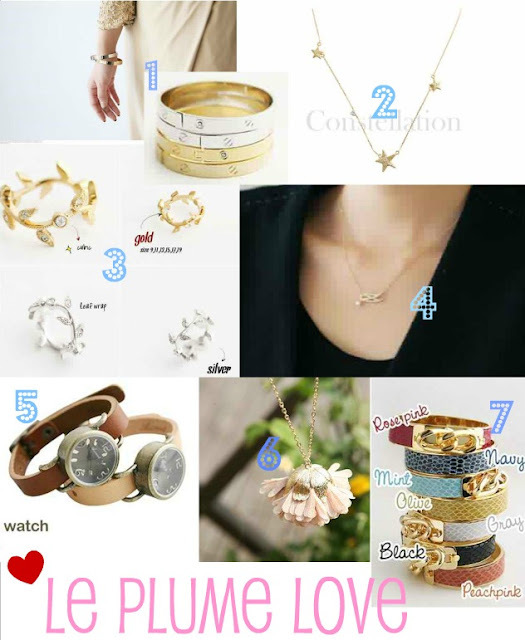 Above are my top picks from this online shop, for more romantic pieces click HERE. Queen of all things adorbs Zooey Deschanel will be proud! Visit Le Plume Accessories on Facebook! Lovely accessories! Thanks for sharing Ana, I'll try to check them out.